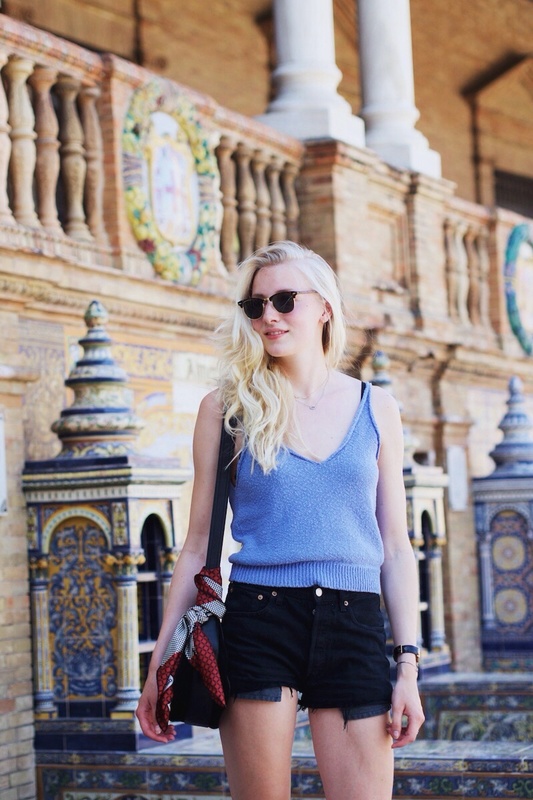 A simple summer look shot in Seville: existing of a knitted top, pair of gladiator sandals and vintage Levi's denim shorts. What do you think about this beautiful location? Love that simple, summer, stress-free look! 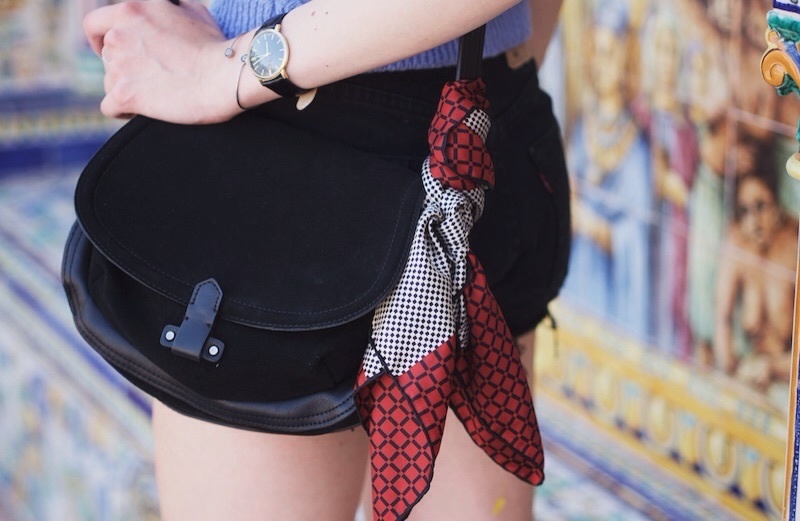 That scarf and those sandals look amazing! De schoenen zijn echt te leuk voor de zomer! Love the look, and the background it's just magical!! There are so many things in this look I love; the shoes are absolutely amazing.And the location is perfect. Hope you have a great time! Love this! It is totally my kind of style. Also, Spain looks so beautiful!